In order to avoid inadvertent changes to files and folders when being actively modified by one person in a collaborative environment, files and folders can be explicitly “locked”. Locking indicates that a user is actively working on it and access is restricted to modifications (or even reading) by other users to whom the file is shared till the file is unlocked. The locking feature prevents conflicts and needing to merge changes from two users into the same document. 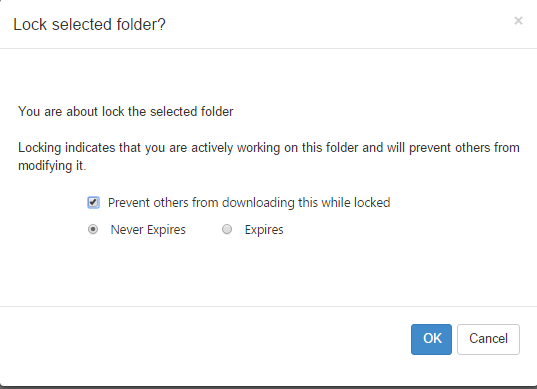 In FileCloud, access restrictions such as read permissions, lock expiration can be set when the file or folder is locked. Administrators can override the locks created by the user. •	A custom lock expiration can be set (in days). 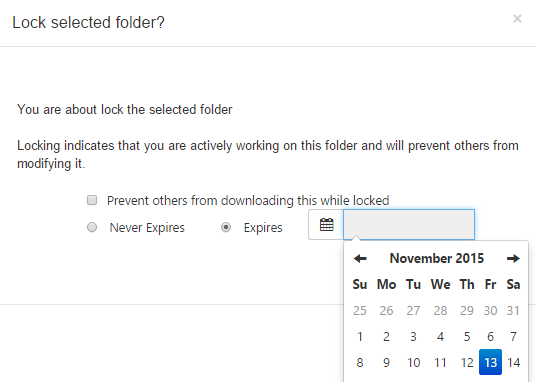 If a expiration is set, then the file or folder will be automatically unlocked after that date. Alternative to Druva inSync – Why FileCloud is better for Business File Sharing?